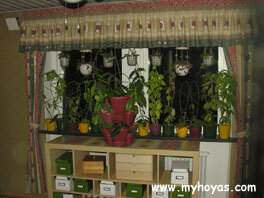 On this page I have uploaded photos from the new house. 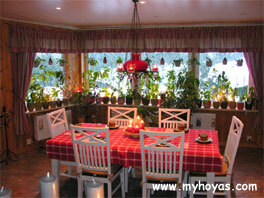 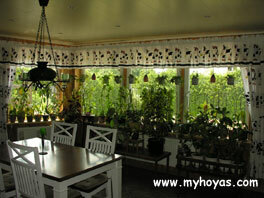 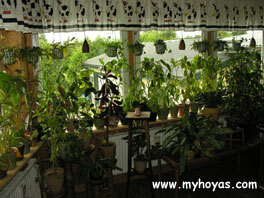 We moved in in November 2009 and it took a while before I had organized the windows so that I could take photos, but now it's almost two years after moving in and the windows and some extra "furniture" are filled with hoyas and other plants. 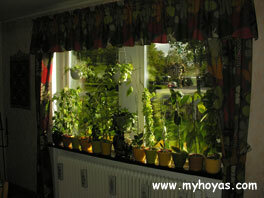 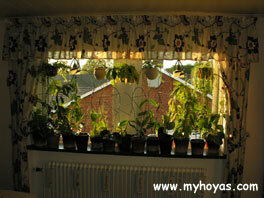 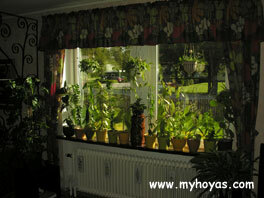 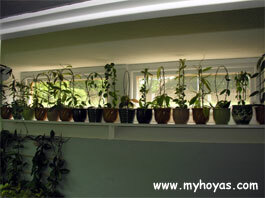 I have also begun filling the windows in our basement, but they are not very high so I will have to "settle" for smaller hoyas... 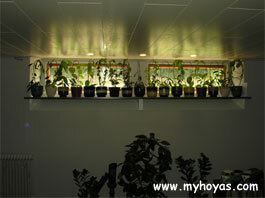 I have also gotten a small room in the basement just for hoyas, but more about that and photos later. 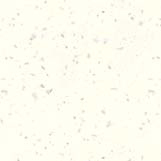 Move your mouse over the photos and you'll find a short description of each photo. 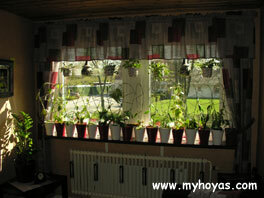 To view any of them bigger, click on them and they will open up in new windows.